Like the London Underground, the Paris Métro has its share of interesting or unusual station names: Campo-Formio, Dupleix, Europe, Glacière, Invalides, Le Kremlin-Bicêtre, Malesherbes, Oberkampf, Poissonnière, Pyramides, Rome, Stalingrad. The names of historic figures or battles are far more common than they are in London. Are the French more international in outlook and do they have a greater sense of history than we have in Britain? Authors, intellectuals, revolutionaries, military men, and even scientists, are prominent. There is a station for Robespierre but no station for Jeanne d’Arc (Joan of Arc). In you have ever been to Paris, you will likely have been to the Eiffel Tower. 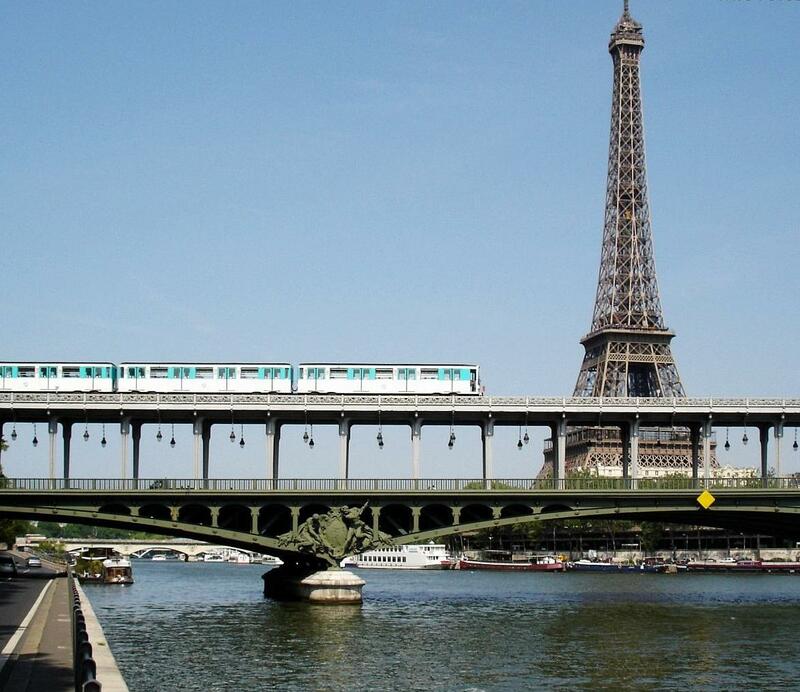 And if you have gone there or left there by metro, you will have used the elevated station close to the left bank of the Seine that is nearest to the tower: Bir-Hakeim. 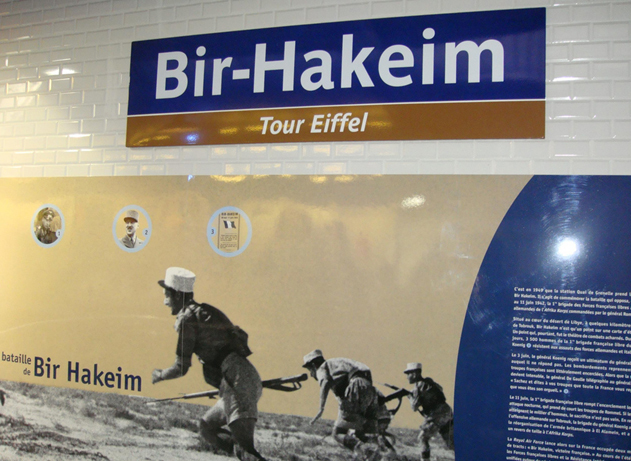 In fact the sign on the station walls says ‘Bir-Hakeim – Tour Eiffel’. It’s an unusual name. Is it the name of an Arab leader? To me it has the feel of Egypt or somewhere else in the Middle East about it. Well it is the name of an abandoned oasis in the Libyan desert in north Africa, the former site of a Turkish fort located at the crossroad of Bedouin paths. But to France it is the place where its pride was restored after its humiliating defeat by Nazi Germany in June 1940 in the Second World. For fifteen days in 1942, a Free French force of 3,700 soldiers under General Marie Pierre Koenig and vastly outnumbered by 45,000 attacking German and Italian forces led by General Erwin Rommel, defended the site from 26 May to 11 June. This allowed the retreating British Eighth Army to escape the annihilation that Rommel had planned, and to gain time to reorganize and subsequently halt the Axis advance at the First Battle of El Alamein in July. The full story of the battle can be read here. Koenig’s report after the battle said that 1,200 men were killed, wounded or were missing.The Free French forces were individuals or military units who joined ‘Free France’ (la France libre), the resistance organization founded by Charles de Gaulle in 1940 in London in order to continue the struggle against the Axis powers. De Gaulle was a Brigadier General and French government minister who had rejected the armistice with Nazi Germany agreed by Marshal Philippe Pétain, and who had escaped to Britain. By the time of the Normandy landings in June 1944, the forces of the French Army of Liberation (l’armée française de la Liberation) numbered more than 400,000, and by the end of the war in Europe, they were 1,300,000 strong. For the Free French, this was a badly needed victory that would show the Allies that the army of the Free France was an effective fighting force that could contribute in the battle against the Reich. 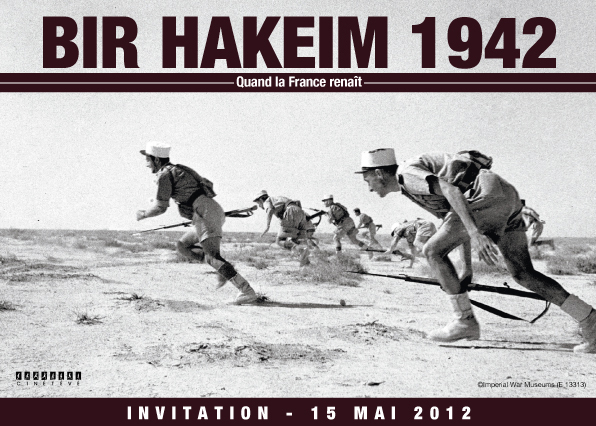 British Prime Minister Winston Churchill said of the battle ‘Holding back Rommel’s offensive for fifteen days, the free French of Bir Hakeim had contributed to save Egypt and the Suez Canal’s destinies’. 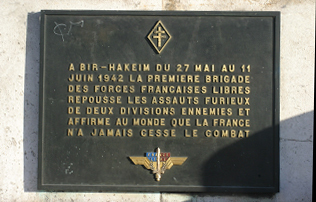 So it was in 1948, three years after the end of the war, that at the same time as the Pont de Passy over the Seine was re-named Pont de Bir-Hakeim to commemorate the Battle of Bir-Hakeim, the nearby Métro station, Quai de Grenelle, was also re-named. Thanks for spotting my inexcusable mistake.